The price of unleaded petrol could surpass that of diesel in the coming days as a result of the disruption caused by Hurricane Harvey in the US, the RAC has warned. 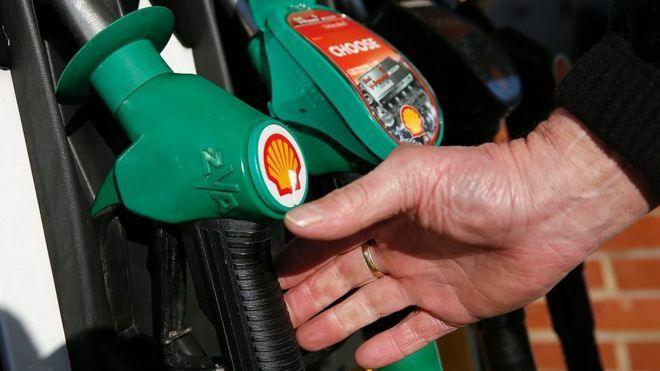 The drivers’ association said the price of a litre of unleaded in the UK could rise by up to 4p, passing 121p. That level has not been seen since December 2014. Hurricane Harvey has left a quarter of America’s oil refining capacity offline. Crude oil production in the Gulf of Mexico has fallen. In response, US demand for petrol imports has jumped, driving up prices. RAC spokesman Pete Williams said this was now affecting UK forecourts. “The average price of a litre of unleaded petrol on Thursday 31 August was 117.29p and diesel was 118.14p,” he said. However, the AA said that any price rises needed to be seen in context. “Petrol prices were already heading up because of the increase in the price of oil since mid August,” Mr Bosdet said. He added: “This is not Hurricane Katrina, which hit around the August bank holiday of 2005 and added 5p to a litre of pump petrol in a matter of days – before starting to fall back shortly afterwards. Hurricane Harvey has killed more than 30 people and destroyed thousands of homes. The costs of the storm in Texas and the Gulf of Mexico have continued to mount, with Texas authorities estimating it at $125bn (£97bn).